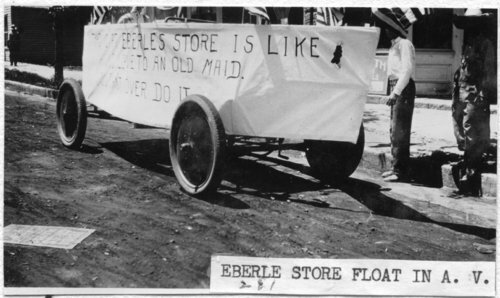 Black and white photograph of a float representing Eberle Grocery seen preparing for a parade in Alta Vista, Kansas. On the side of the float the words are emblazoned, "Trading at Eberle Store is like making love to an old maid. You can't over do it."